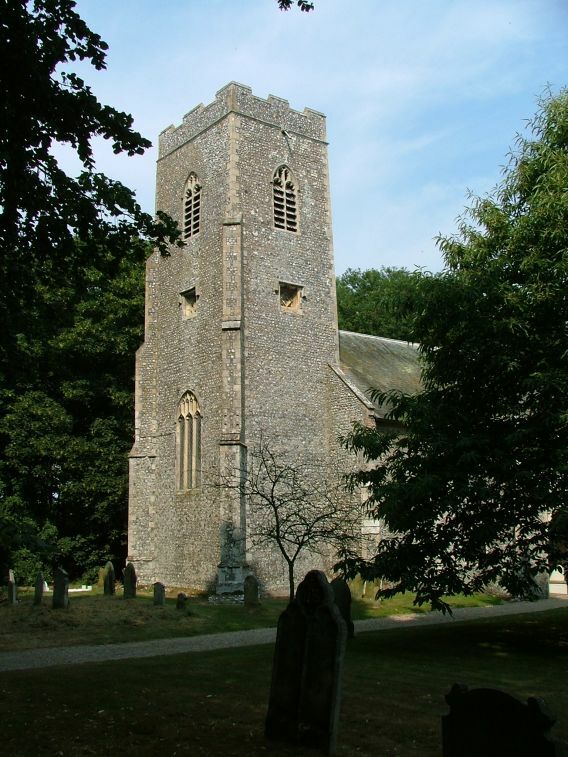 Gimingham is near to Trimingham; a bit too similar to be a coincidence, wouldn't you say? One means the homestead of Gimma's people, the other the homestead of Trimma's people. Near to where I live in Ipswich there is a fitness centre called Gym & Trim, and from now on that was how I inevitably thought of these two parishes. Both are in the lovely Trunch Team Ministry group of churches, and as you would expect this makes them lively, welcoming places. 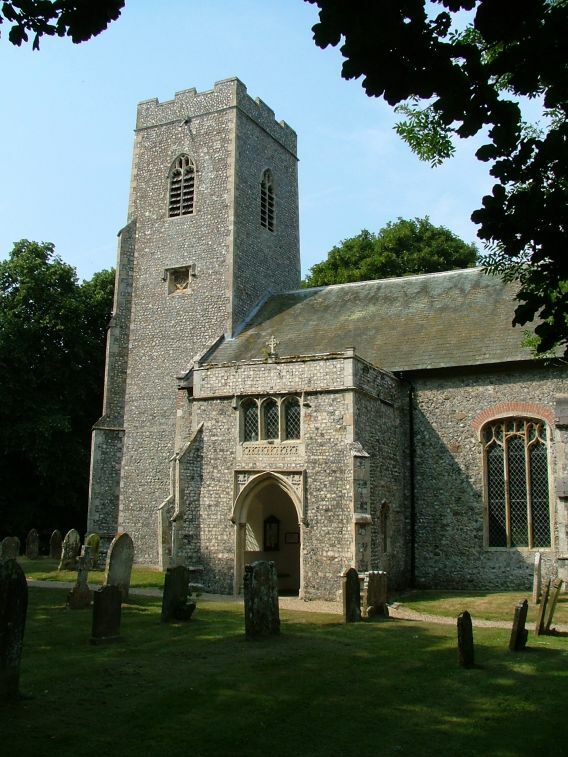 All Saints is a fairly modest, mostly Perpendicular church set in a lovely graveyard. 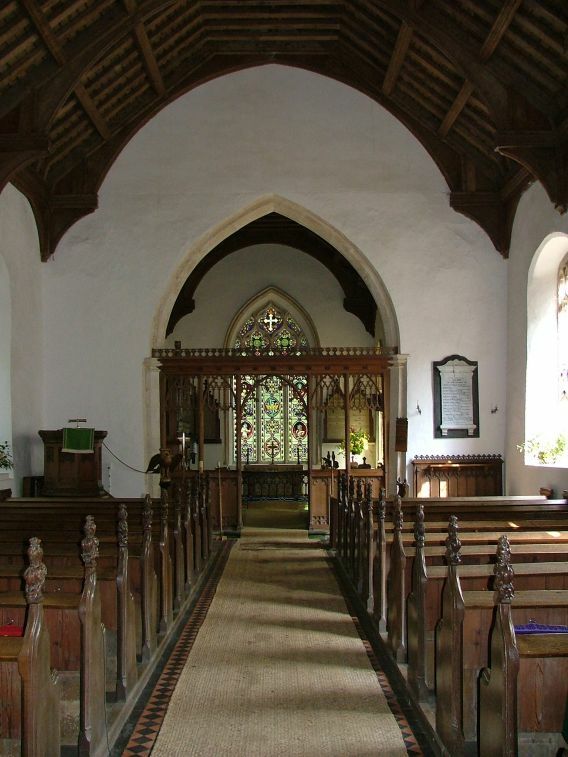 The chancel is earlier, and Pevsner records quite a lot of money being spent here in the late years of the 15th century and the early years of the 16th. 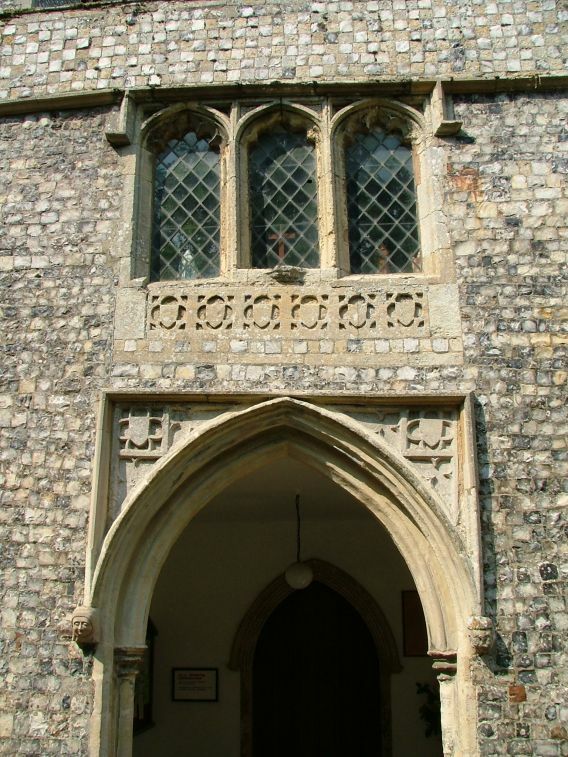 The star of the show of this time is the magnificent porch with its upper storey, the windows echoing image niches. 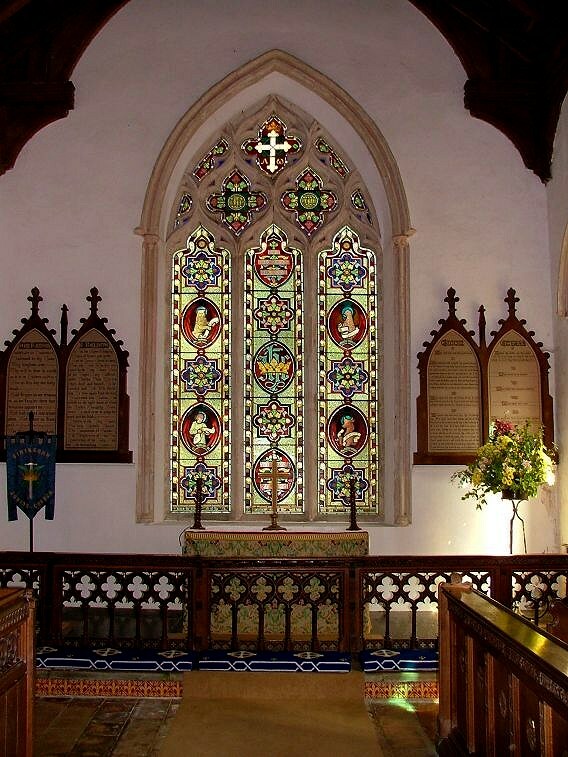 That the church is in such fine fettle today can be put down to a rather overwhelming restoration in the 1860s, and you step into what is, to all intents and purposes, a Victorian church. 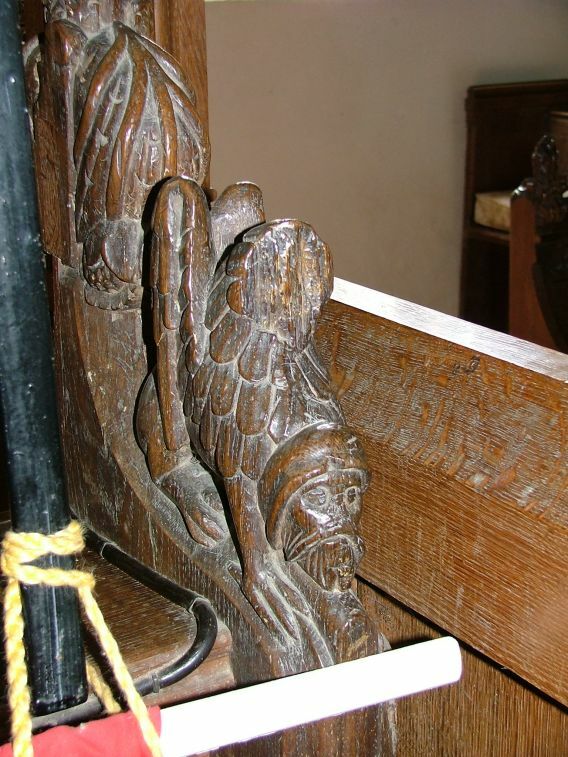 But it is a pleasant one, and there are some old bench ends preserved and still in use. 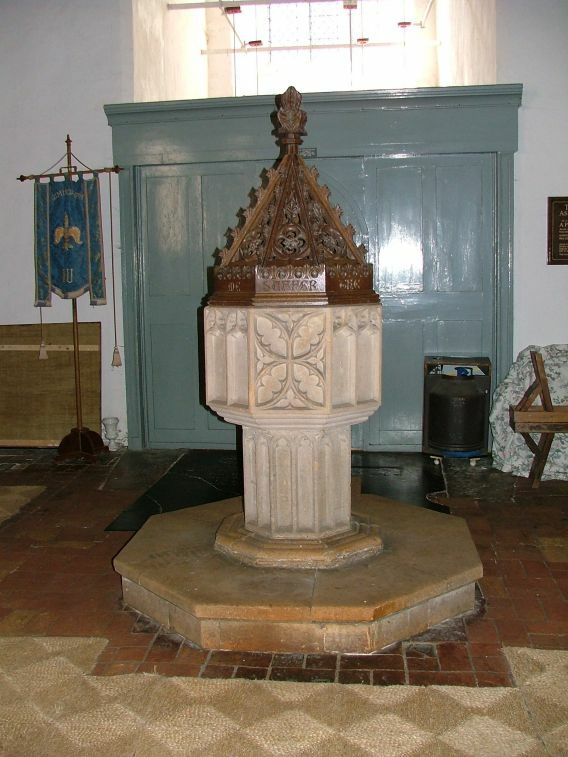 One of them, intriguingly, features a gryphon guarding the head of a man, similar to a surviving bench end at Neatishead.Also still in use is the font, which probably dates from about the time of the chancel. 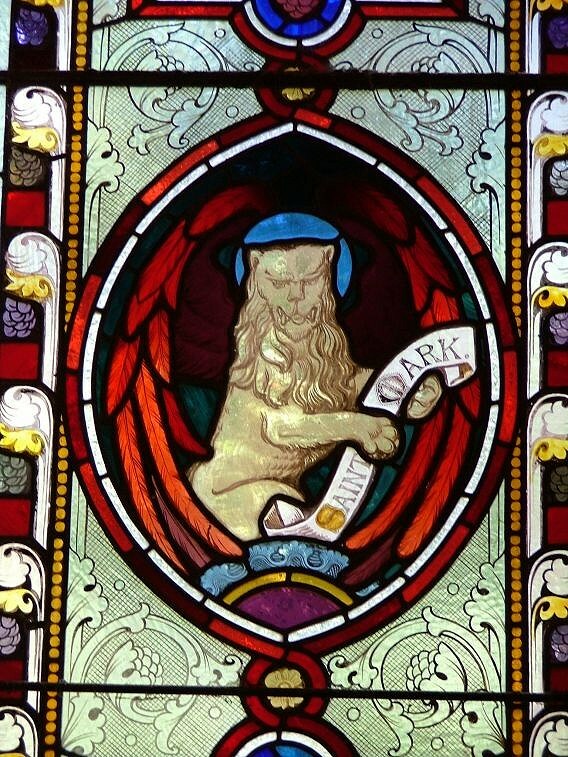 But let us not dismiss the 19th century features, because the glass in particular is very good indeed, with its evangelistic symbols, although it must be said that St Mark looks a little like the Cowardly Lion from The Wizard of Oz. 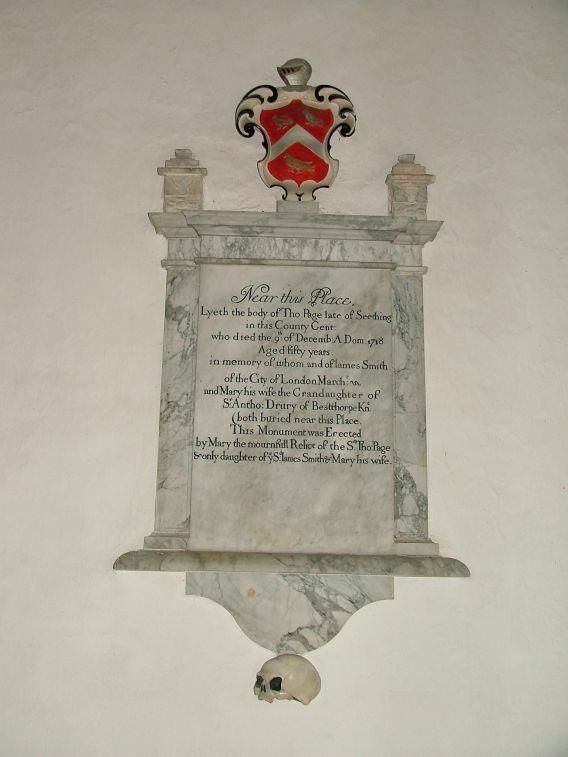 Pevsner says it is by the Kings. 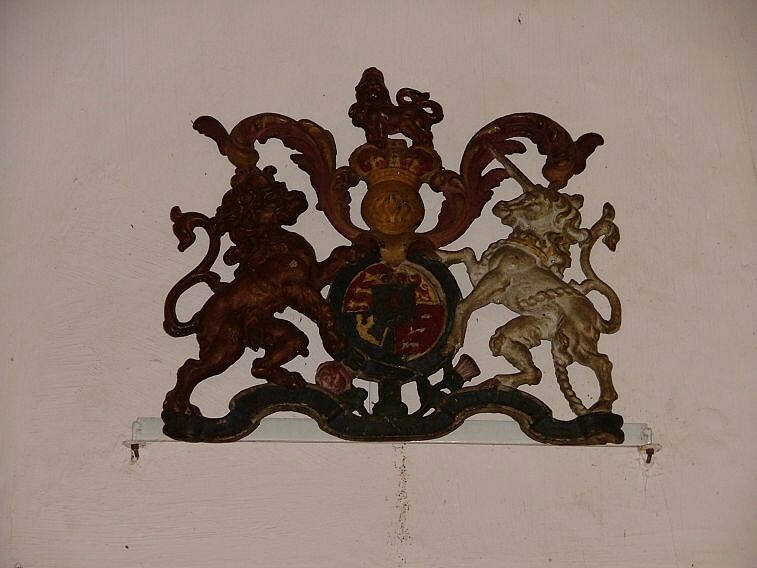 I also like very much the moulded arms of the House of Hanover. They look as if they were bought off the shelf and then painted locally, which is probably exactly what happened. 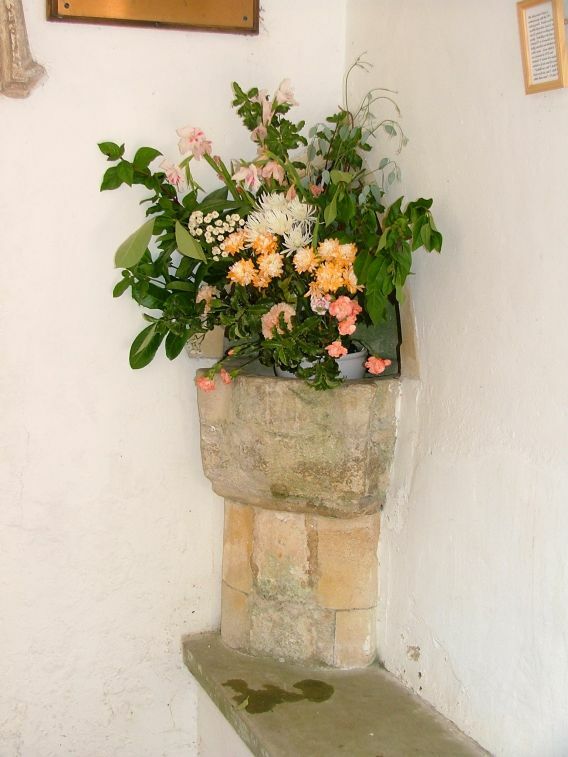 All Saints is exactly the kind of pleasant, ordinary church which should be kept open as an act of witness, so that pilgrims and passing strangers can pop in on the off-chance for a spot of spiritual refreshment. 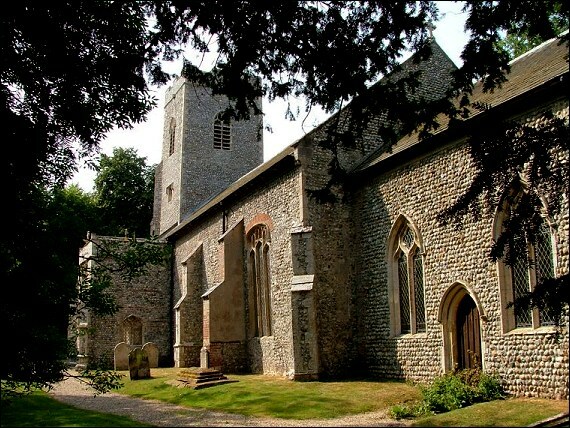 That is surely one of the major roles of a building like this in the modern age, and an open parish church is one of the finest acts of witness that the Church of England possesses. Fortunately, the Trunch Team Ministry realise this too, and so Gim & Trim are open to us all.